I’m hearing my voice played back, out of context, asking, “What’s meant to be happening?” According to the instruction manual, the headset I’m wearing records the sounds of the exhibition space, delaying them by two, four or six seconds. The participant can choose in which of these time differences they will experience the space by pressing a series of buttons on the side of the recording device. This experience comprises the audio component of Antoinette J Citizen’s multiplatform work Apparatus and Method for Time Displacement (2017), exhibited in the multimedia triennale, Experimenta: Make Sense. The exhibition contains 19 works that employ technology as a means via which to explore an overwhelming array of political, social, scientific and personal subject matters. The result is an immersive sense of disorientation that vacillates between gratifyingly deliberate and unfortunately inadvertent. Particularly powerful is Robert Andrew’s installation Moving from the Binary (2017), exploring the loss of context and autonomy that colonisation inflicts upon Indigenous cultures. In a complex process of translation, Yawuru phrases and their English equivalents are coded mechanically as a machine processes the textual information as temporal action. 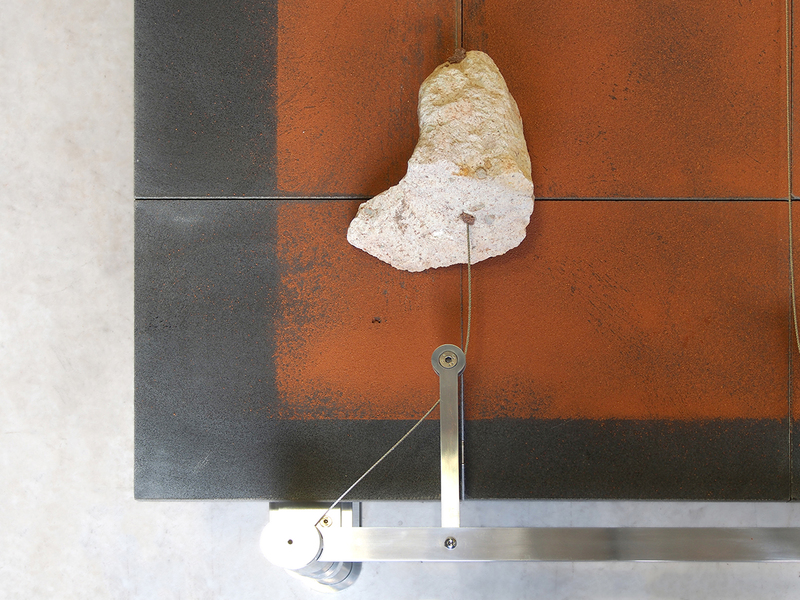 This takes the form of a pair of rocks grinding slowly across the surface of a metal table covered in a layer of red dirt. Over time, the movement pushes away the dirt, allowing light to filter through holes in the table onto the floor. The negative space here slowly pieces together shards of light onto dirt residue to form the word “buru,” meaning land, country, time and space. In this way, the machine reveals what is lost in colonial translation. As it converts the difference between the Yawuru “marlu milarrjin,” and the English, “don’t forget,” into the frictional slide of the rocks, the encompassing notion of being and place is written in fragments, and can be viewed only in absentia. In this sense, the repetitive three-hour process of Andrew’s work draws attention to the dispossession of land and cultural sovereignty that manifests in language as a silence and a silencing, but which is present nonetheless in the gaps between the binary of coloniser and colonised. Lauren Edmonds’ work also enacts a loss of context via the medium of the mechanical. 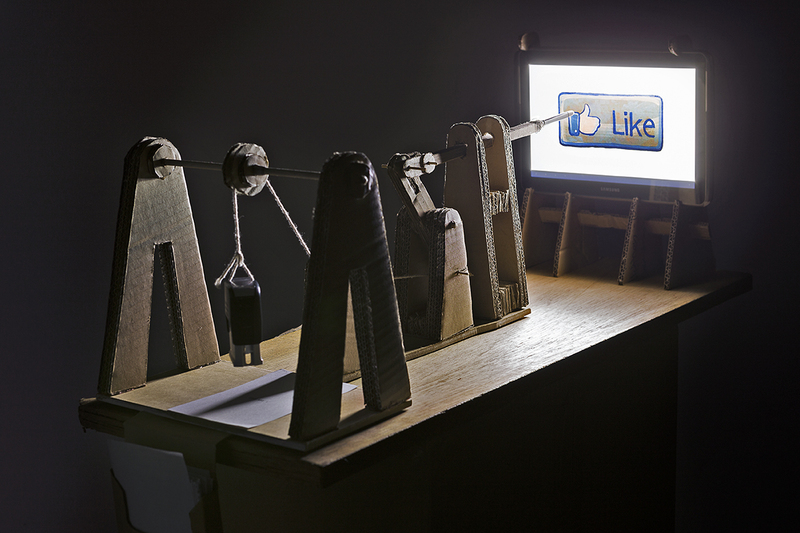 A cardboard Rube Goldberg machine, the piece invites viewers to stamp a piece of paper with the phrase “I DUN GOOD.” This action propels an implement forward to click an oversized and alternating “SIGN PETITION” or “LIKE” button on a touch tablet. The work’s comment is sardonic and self-evident, asking the viewer to participate in a hollow gesture, void of direct action in a manner that mocks the kind of hashtag activism saturating social media platforms. Disappointingly, though amusing in its interactivity, the farcical mechanism fails to transcend the self-satisfaction that it satirises. The work has no function outside of the spoof it performs. Because of this, the viewer’s interaction with the work produces a smugness akin to that which the piece is positioned to skewer. 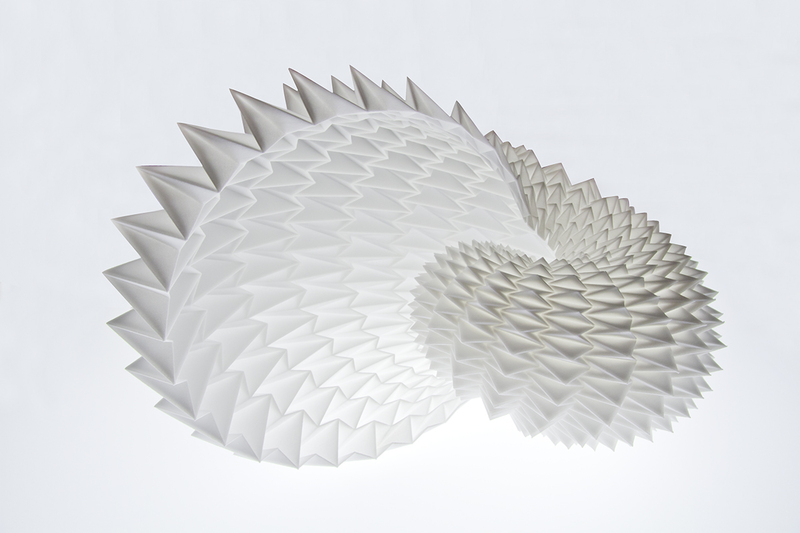 Without this context, the work would perhaps have appeared simply as an example of the sculptural grace that may be born out through the medium of 3D printing. However, the ideological grandiosity the work strives for is in some ways hindered by its visual humility. As the most static work in the exhibition, the piece struggles to bear out the sense of motion implicit in its thematic concern with time folding and unfolding. The empty space that constitutes its core hints at simultaneity, at presence and absence, “being and nothingness,” and its coiled form and repetitious shape touch upon notions of endless iteration. Yet as exhibits all around it seek to expand our sense of the world — visually, temporally, spatially, sonically — the investigation taking place in The Folded Geometry of the Universe appears comparatively unresponsive. Shuffling between the screens and soundscapes and switches and dials, my experience of the exhibition is shadowed by the pervading sense that technology is as much a creator of distance as it is a means of engagement. I feel this acutely as I adjust the headset for the visual component of Citizen’s Apparatus… and try to make out half-formed figures on the dim VR-screen. They’re sketchy impressions of visitors moving through the space throughout the day, recorded by an overhead monitor, then played back. I catch glimpses of people putting on the headset, as I just have, but the rest is a blur. After a moment, I put down the headset and puzzle over whether the experience, of the work and the exhibition as a whole, is truly engaged in an enactment of the digital’s fragmentation of context. This seems to be the case, as the shared medium of the technological, in conjunction with the exhibition’s theme, sees all of the works, directly or tangentially isolate, manipulate or dislocate the contextual information that ordinarily constitutes our perception. Yet, this feeling of disorientation and distance could just as easily be the result of something vital having inadvertently slipped my grasp in the deluge of information and sound and images. For the most part, I want to believe that it’s the former, as it’s in this way that Experimenta makes sense.